How much of London’s Natural History Museum (NHM) is open to public view today? 16% (the hidden 84% includes one £45m dinosaur). How much was open during World War II? A little less – the reasons for that have less to do with German bombs and more to do with exploding camel dung. Thanks to Museum Space Manager Mark Heslington, I gained a behind the scenes look into the intriguing war history of the museum at the centre of Britain’s secret war. A hive of activity brought to life the preposterous ideas of Ian Fleming & Co., producing a cornucopia of gadgets and weapons for Britain’s secret agents. 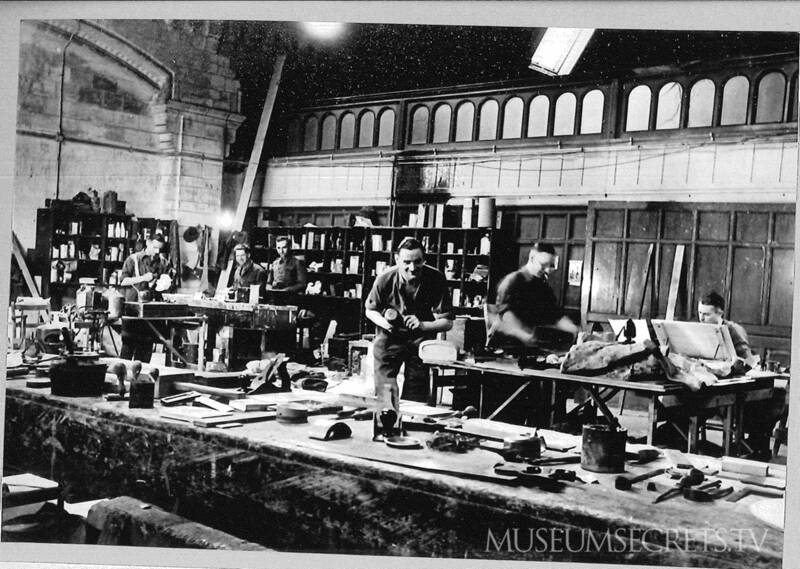 While explosive-packed rats were blowing up in closed-off galleries, many rooms remained open to the public for much of the war (August 1942 – July 1944, for example, saw 250,000 visitors). Certain key exhibits were evacuated (to Tring), but some sandbagged skeletons remained at their posts in their display cases. Staff numbers were greatly reduced and bombs hit the Museum on several occasions. To keep spirits up, the Chief Librarian produced an irreverent and humorous serial publication entitled Tin Hat, which at times referred to a “hush hush” organisation operating within the Museum. Station XVB: Demonstration Room Today the Special Operations Executive’s (SOE) Station XVB is lined with a parade of mammals, some of which remained on display throughout the war, keeping beady eyes on the antics of the SOE specialists – and visitors such as Winston Churchill and King George VI. Each one of the six Station XVB rooms had their own particular theme, such as ‘Incendiaries and Demolition Charges’ and the ‘Explosives Camouflage Section’. London Zoo supplied sample animal droppings relevant to the various theatres of war. Then, for Europe, plaster cowpats and horse manure would be made and packed with plastic explosives – whereas camel dung was all the rage for North Africa. Plaster-cast coal (pictured below) was another favourite: leave it in the right place and the enemy would light their own explosive end. In other galleries machine guns were concealed inside fish, wireless sets in books, and country-specific clothes and shoes were made and artificially aged. A Jewish refugee from Berlin was employed to tailor authentic German clothes for agents – who were only ever a few missed stitches away from having their cover blown. 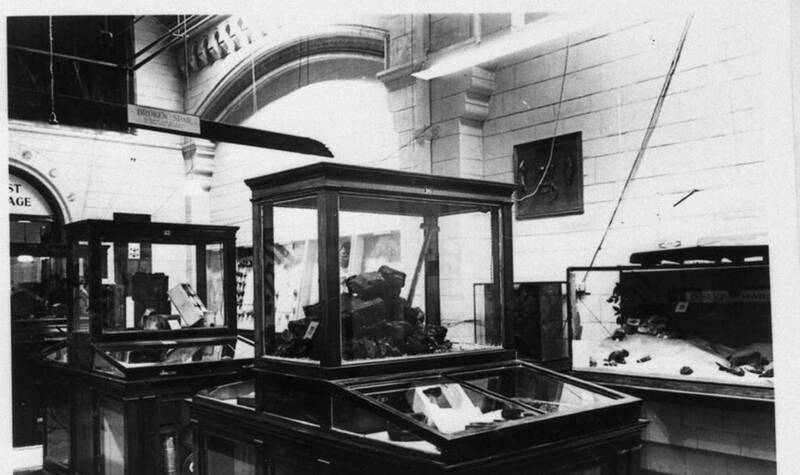 The SOE’s connection to the Museum dropped out of history after the war – until recent research by former NHM zoologist Paul Clark, whose father piloted SOE agents abroad in the dead of night. Now, history has been rediscovered. Many thanks to the NHM, particularly Mark Heslington for his time and for providing photographs, anecdotes and some wily phraseology hoodwinked into this article.